Our house beers are the voice of the member-owners. Through tasting panels and member-owner beer-design meetings, our brewers design beers that our members want. Want to enjoy your favorites at home? Take a crowler to-go! We are owned by a community of more than 3,000 individuals and organizations, and we're democratically managed by our Workers' Assembly. Co-operatives are businesses owned by the people that purchase or manage its services. 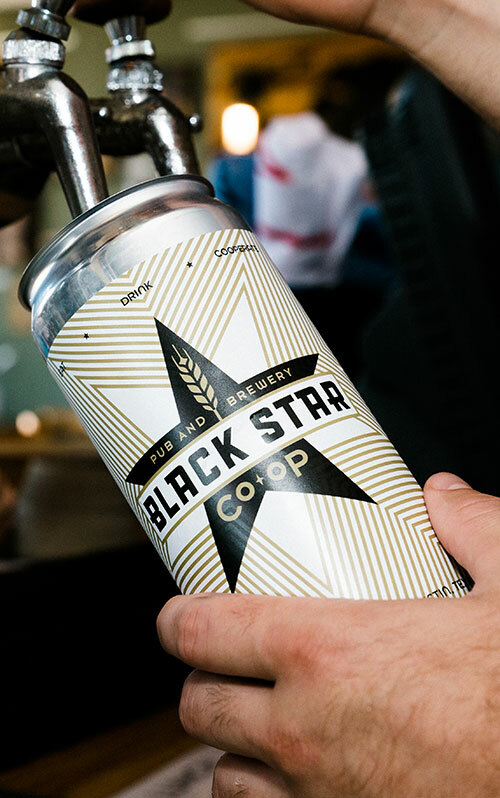 You don’t have to be a member-owner to come to the brewpub, but supporting Black Star Co-op means supporting livable wages, democratic workplaces, local farms, and quality products from your community brewpub! The best way to be involved in the Co-op is to own it. If you love us, support local businesses, believe in sustainable practices, agree with fair labor treatment, and enjoy good beer, we encourage you to become a member. 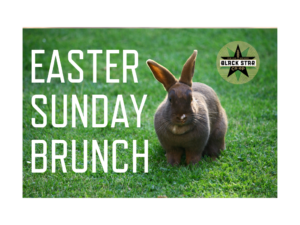 We’re serving up a family friendly Easter Brunch, complete with egg specials, our classic chicken and waffles, mimosa carafes, and more. 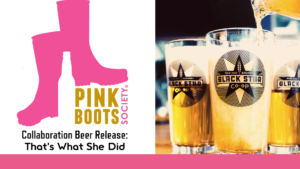 In collaboration with Pink Boots Society, we hosted some awesome women in the brewery to help brew this super drinkable beer. Starting with a Pilsner malt base, we then fermented the beer with our house ale yeast strain at much cooler temperatures than a typical beer. Once fermentation was over we dosed it with a large helping of the proprietary Pink Boots Hop blend from Yakima Chief Hops. We then lagered this beer for a few weeks to fully mature, and voila! What we end up with is a crushable, hop forward light pale ale that is sure to quench your thirst. Come in and have a pint with us on April 23rd! Barks for Beers Kickoff Party! It’s the most pupper time of the year again! Join us as we kick off Barks for Beers with our friends from Divine Canines and our favorite little cutie friend, Miss Sophia. Mini-auctions throughout the day. 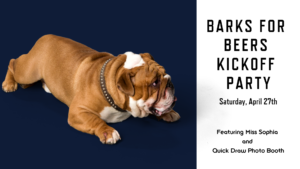 We will even have a special dogcentric photobooth provided by Quick Draw. Beers all around. Who’s a good boy?? Parking lot full? All levels of the garage are open and free! Surrounding neighborhoods are also parking friendly.